Founded in 1966, Design Distributors is a full-service direct marketing company located on Long Island, New York. With state-of-the-art equipment and a team of direct marketing and mailing specialists, we’ve grown to become the most diverse printing and mailing operation in the northeast. Design Distributors Inc. is a full-service direct marketing company located on Long Island, New York. With a team of direct marketing and mailing specialists and state-of-the-art facility, we’ve grown to become the most diverse printing and mailing operation in the northeast. Your direct marketing campaign deserves the highest-quality production, printing, and delivery services to be tackled with the most cost-effective solutions. Our experienced team of knowledgeable staff are constantly investing in the latest innovations and technology in order to provide each of our customers with exceptional printing and mailing options ranging from test projects to high-volume rollouts. Whether you're a seasoned marketing professional or starting your first venture into direct mail, Design Distributor’s innovative thinking, decades of experience and state-of-the-art facility enables us to accommodate any and all of your production needs. Founded in 1966 by brothers David and Stuart Avrick, Design Distributors was a family-owned envelope printing business which welcomed the addition of Stuart’s son Adam in the late 80’s. Adam, who would become the current business owner, facilitated the expansion of the Company to become a full service printer and then into the Direct Mail and Lettershop market. By 1990, we started diversifying our services beyond just envelope printing and migrated towards the use of emerging technological advancements. In 1997, Design Distributors had developed into a full-service mailing, data processing, printing and imaging company. Since then, we’ve steadily evolved alongside the industry’s ever-changing advancements in technology and innovations into what we are today. Currently in our 52nd year of business, Design Distributors Inc. operates out of our 70,000 square foot production facility which gives us the ability to provide you with just about any conceivable mail piece and project. At Design Distributors Inc. our exceptional service stems from our 50-plus years of printing and mailing experience. Add to that our compliance with the industry's ever-progressing landscape of technology, equipment and data security needs. We are able to work directly with your specific mailing needs in order to provide not only top-quality printed products, but optimal lasting solutions to effectively drive your campaign. 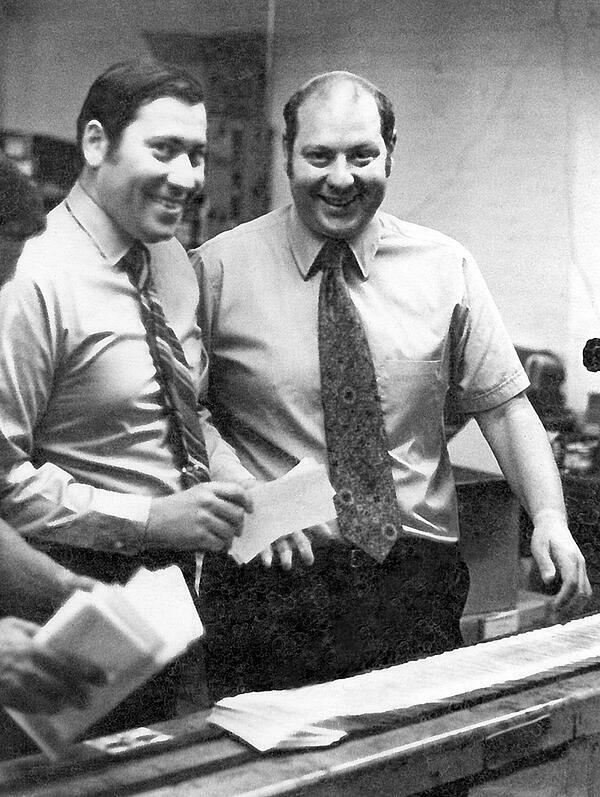 Owners David and Stuart Avrick at Design Distributors Inc. original envelope press, 1966.